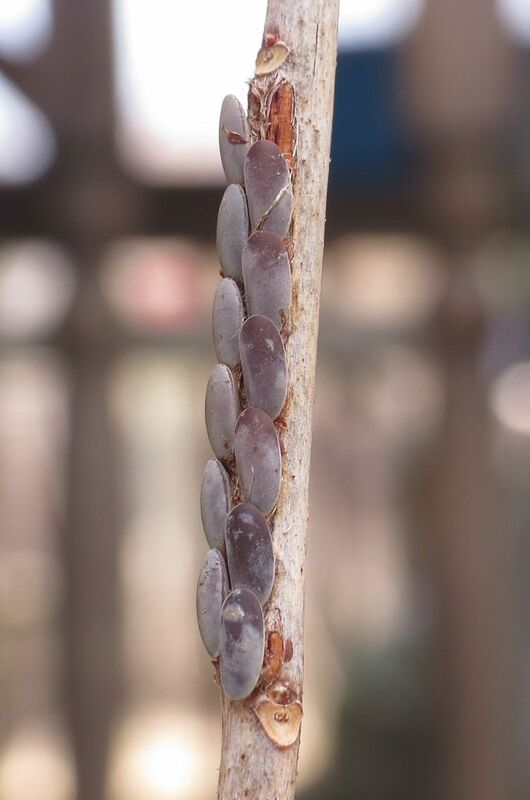 I was just out inspecting some of the shrubs in the yard when I came across some Katydid Eggs. 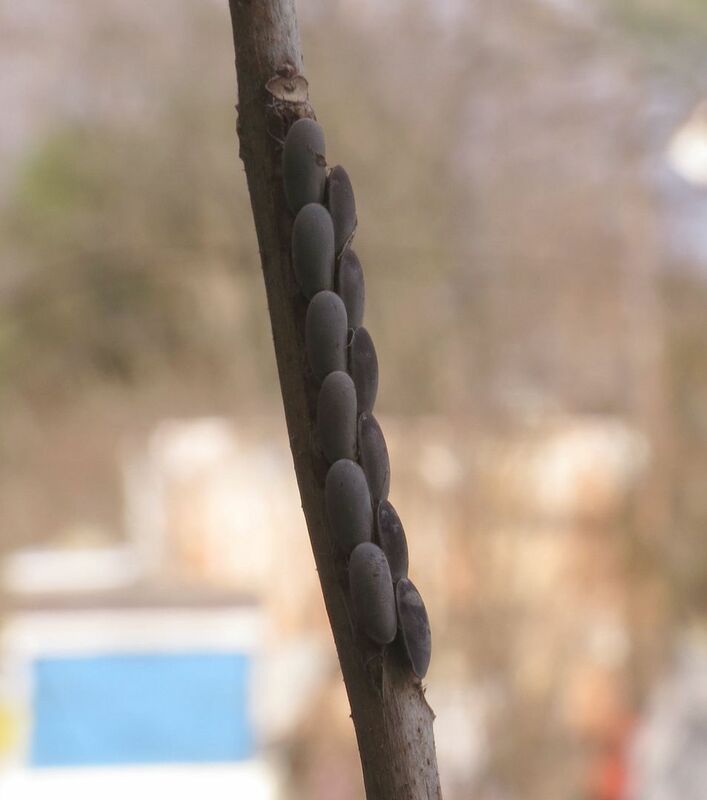 These will eventually become the great big (usually green) grasshopper-like insects that hang around trees and make noises at night over the summer. Click the link for more True Facts about the Katydid. I found them on one of our Flame Azaleas, Rhododendron calendulaceum.